Amid holiday closures in Asia and subdued price action in the financial markets, it was a busy week on the economic calendar and attention was mainly on Australia, the US and the UK. Australia stands out this week with a series of economic data releases across the week, the first RBA meeting and the final report from the Royal Commission. The slew of data in Australia has provided more insights into the local economy. The Building Permits report shows that the housing sector is still a concern. A disappointing Retail Sales figures accentuated concerns over consumer spending and financial hardship while Trade Balance surprised on the upside with 3,681M compared to 2,300M estimated. Tuesday and Wednesday saw two different types of comments coming from the RBA. The Interest Rate Statement was viewed as more upbeat that the comments from Governor Lowe. It was a “pump” and “dump” situation for the AUD pairs this week. The much-awaited report was released on Monday after the local share market is closed. It was supposed to uncover the appalling practices and behaviour in the banking, financial services and superannuation sector and the recommendations to monitor those behaviours. Unfortunately, while the report addresses many issues, it fell short of satisfying the markets who was expecting stricter measures on the major Australian banks. Major banks rose sharply ahead of the release of the final report which prompted speculations that it was leaked and there was some insider trading. Tuesday’s relief rally was shortlived as CBA’s earnings dented sentiment. All in all, the bombshell report did not handicap the bank as expected and is likely to have a limited financial impact on the banks. Fears of the further credit crunch have also dissipated. The Reserve Bank of Australia– The forecast for GDP growth has been revised lower. The European Commission also downgraded forecasts for the Eurozone economy slashing estimates from 1.96% to 1.3%. 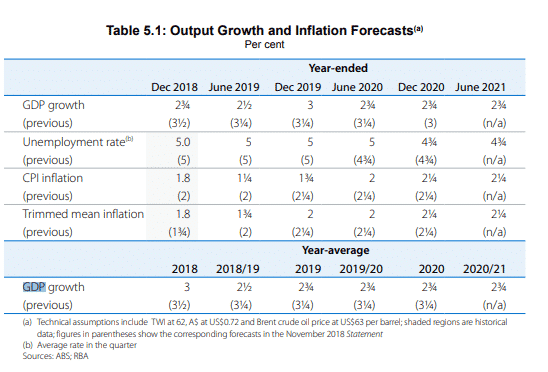 The Bank of England has cut its 2019 growth forecasts from 1.7% to 1.2%. The Central bank has also warned about the consequences of a no-deal Brexit on the UK economy. News that the US President Trump has said that a meeting with President Xi is unlikely going to occur before the 01 March deadline has emerged towards the end of the week. 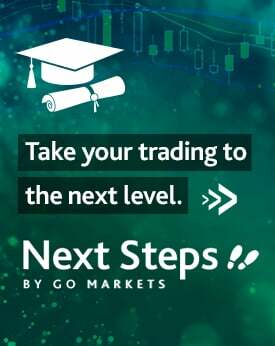 The sharemarket fell on renewed worries on the US-China trade negotiations. Brexit news flows were also not enough to bolster sentiment in the UK. Towards the end of the week, we note that the European Union on Thursday promised to negotiate with Theresa May in the attempt of finding a solution which helped the Sterling pairs to rebound. Another week packed of corporate earnings. We saw some big companies like Alphabet (Google’s parent company), BP Ltd, Walt Disney, Zendesk and Twitter among others reporting earnings. It was a mixed picture with a few surprises on the upside that has driven the price action in the markets amid a holiday period whereby a few Asian markets were closed.